Fancy crossing the border for one of your rounds of golf? Just a half hour drive from the Scottish border, a round at Macdonald Linden Hall Golf & Country Club will be one you won’t forget. The 18-hole championship course is one of the best tests of golf that Northumberland has to offer. Spread across a large private estate near Morpeth, it is distinguished by wide, undulating, USGA specification greens with water in play on nine of the holes. 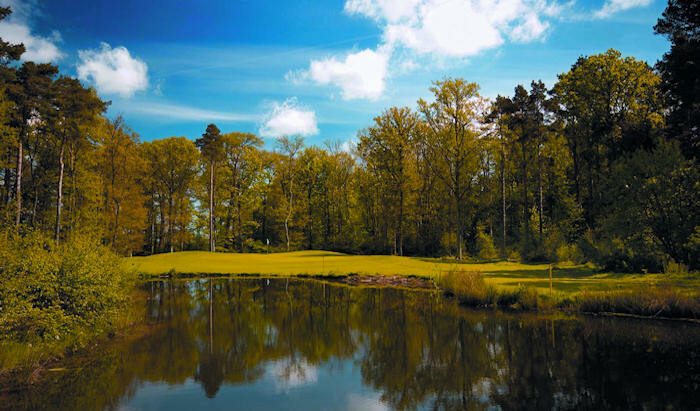 One of these, the testing fourth, is a par-3 played over water and surrounded by trees and is one of four memorable, yet challenging, shorter holes. Add into that the views of the Cheviots, Coquet Island and the Northumberland coastline and the opportunity to spy red squirrels, birds of prey and deer and Linden Hall is a real treat. If you negotiate the many water and sand hazards, you will put yourself in prime position to post an impressive score. 13th – While there are some quite memorable par-3s at Linden Hall, the signature hole has to be this real risk-and-reward par-5. Measuring 556 yards, it includes a double dogleg and tests your game to its limits. To book and play this course for £10 you must also book and pay for one of the three golf packages below at time of booking. Golfing Essentials for £15 – Sleeve of 3 Srixon golf balls / chocolate bar + water / course guide / ball marker. Buggy Add on - £30.00 for the buggy (£15pp).